In Eastern traditions they are used often as a teaching and meditative practice. 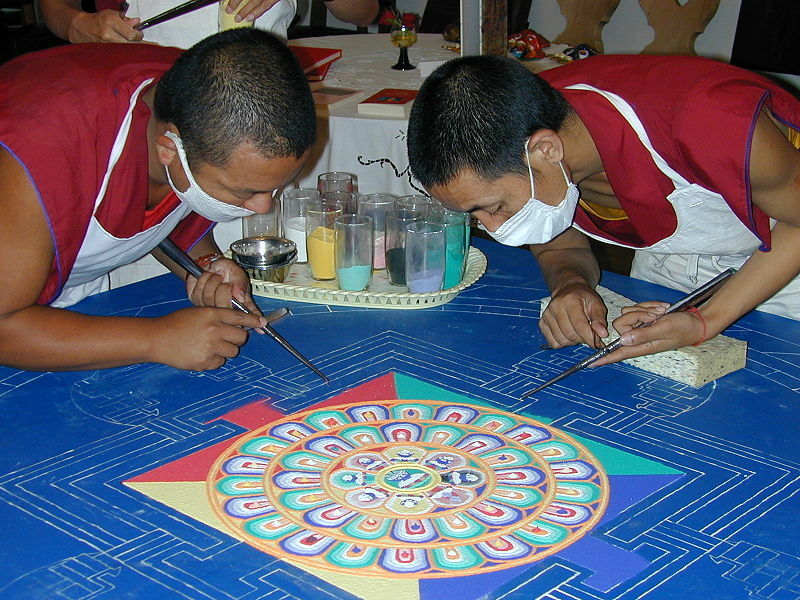 In Tibetan Buddhism they create elaborate mandalas of colored sand to be brushed away when done, symbolizing impermanence. The act of creating a mandala can be a meditation unto itself, or you can meditate while gazing at one. In Christianity mandalas can be found in the form of a Celtic Cross, the halo, the rosary, etc. Carl Jung, founder of analytical psychology, believed that the mandala was “an representation of the unconscious self” and used them often in his practice to help his patients maintain order in their lives. … I knew that in finding the mandala as an expression of the self I had attained what was for me the ultimate. I think that for many people who want to create art but aren’t feeling particularly inspired or artistic it helps to have a place to start. By creating something inside of a shape (like a mandala) it doesn’t seem as intimidating as a blank piece of paper. The ability to create symmetry within a circle is endless and can lend itself to the new artist. Especially for birth art the mandala is perfect because it is the shape of pregnancy itself. The circle holds, for me at least, feminine energy and endless perfection. It is soft and curvaceous and represents the continuation and cycle of new life.